Ski School Borovets & Snowboard School. 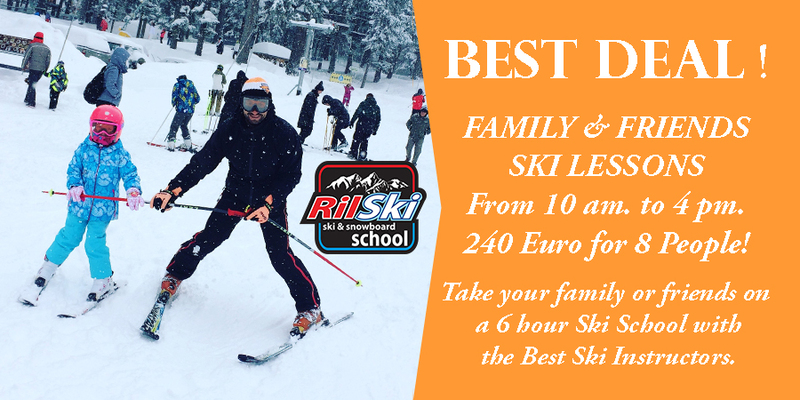 Ski Hire Borovets by "RilSki"
Best Ski School in Borovets! Borovets-Ski-School.com is a site made by “RilSki” – Ski School Borovets. Our Ski School is located in Hotel “The Lodge” right next to the lift station in Borovets Ski Resort, Bulgaria. Our team can help you with variety of services like: Ski Lessons, Ski Equipment to Rent, Snowboard Lessons, Snowboard Equipment Rental, also We offer Transfers and more ! 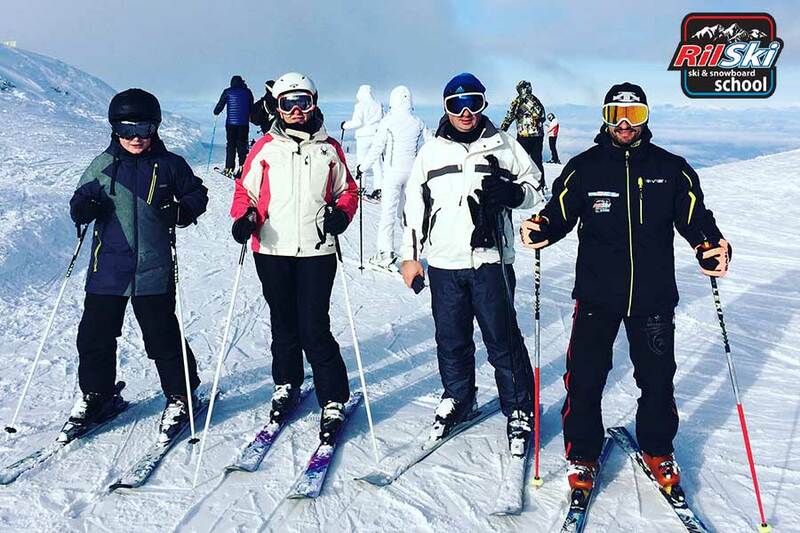 If you are looking for Ski School in Borovets or Snowboard School, then Our Team will give You the Best Skiing Holiday Experience ! Book a Ski Lessons for your family and friends for 240 euro for 8 People! Best price for 6 Hours Ski Lessons from 10 am till 4 pm! Pick a date from the calendar below and book in the pop-up window. 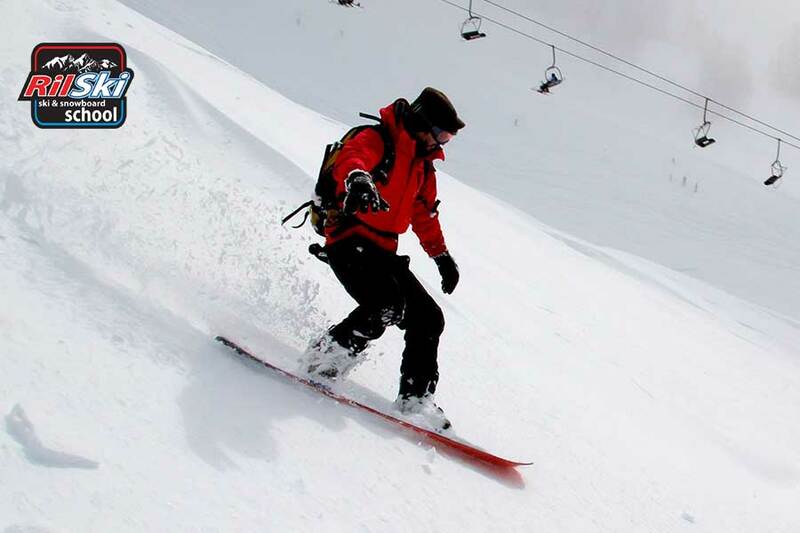 NEVER SKIED BEFORE… WE WILL TEACH YOU! WE WILL TEACH YOU HOW TO RIDE! 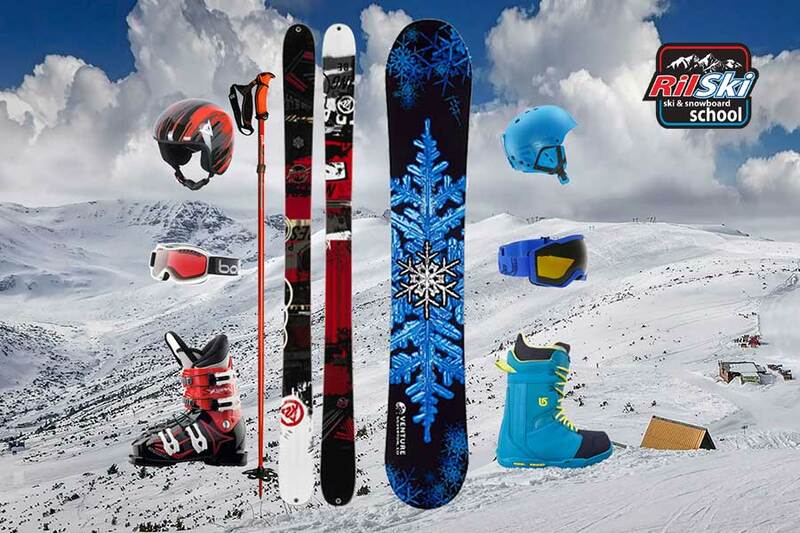 Full Ski Equipment for Rent / Hire! Airport, Sofia – Borovets Transfers! 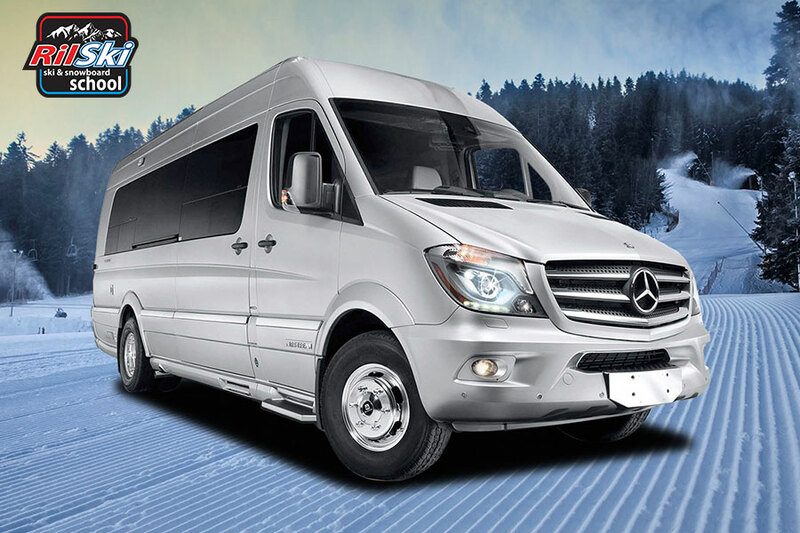 We can offer you transfers from the Airport to Borovets Mountain Resort in both directions ! We can accommodate your needs with variety of vehicles catering for groups of all sizes. Click on the “Read More” button bellow and check our transfer price list. Are you Looking for Hotel Room, Apartment or Chalet in Borovets? We offer you Studios for Rent in "Flora Residence" Borovets. Please click on the button bellow to see details about the offer. We offer you Apartments for Rent in "Flora Residence" Borovets. Please click on the button bellow to see details about the offer. We offer you Studios for Rent in Royal Plaza Complex Borovets. Please click on the button bellow to see details about the offer. We offer you Apartments for Rent in Royal Plaza Complex Borovets. Please click on the button bellow to see details about the offer. We offer you Studios for Rent in Hotel Flora Borovets. Please click on the button bellow to see details about the offer. We offer you Apartments for Rent in Hotel Flora Borovets. Please click on the button bellow to see details about the offer. We offer you Chalet for Rent in Borovets. Please click on the button bellow to see details about the offer.